A graphically-stylized 2D shooty platformer. 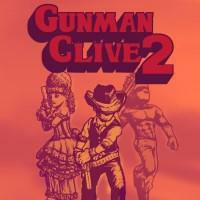 Despite the Old West setting, the game is actually more like Mega Man than anything else. Bosses don’t grant new abilities, but you’ll be jumping and shooting your way through deadly enemies and platforming challenges to get to the boss - and don’t be surprised if robots or other anachronistic elements show up. The game is pretty short, though some replayability is added by there being multiple playable characters with slightly different abilities. Also like Mega Man , the game has high levels of both challenge and punishment. Levels are short but checkpoints are scarce. Some hazards or combat encounters are difficult or impossible to figure out the first time, especially with the game’s sparse and sketch-like visuals, resulting in a lot of learn-by-dying moments. Some players eat this up, and if you liked the original Mega Man games you’ll be right at home here. But if you don’t like the idea of a game that’s perfectly happy to respond to a single mistake by sending you back to the beginning of the level and requiring you to redo any platforming and combat along the way to get back to where you were and try again, steer clear. I Stopped Playing When: After playing for less than an hour I was too frustrated to want to continue. One Star: Not for me. While there might be someone out there who'd enjoy this game, I was actively repulsed by it or just found nothing to latch on to.